After the Korean War brought construction to a national stand still, Yokely and Waggoner decide to discontinue their business relationship. Mr. Waggoner begins doing business under the name Waggoner and Associates. 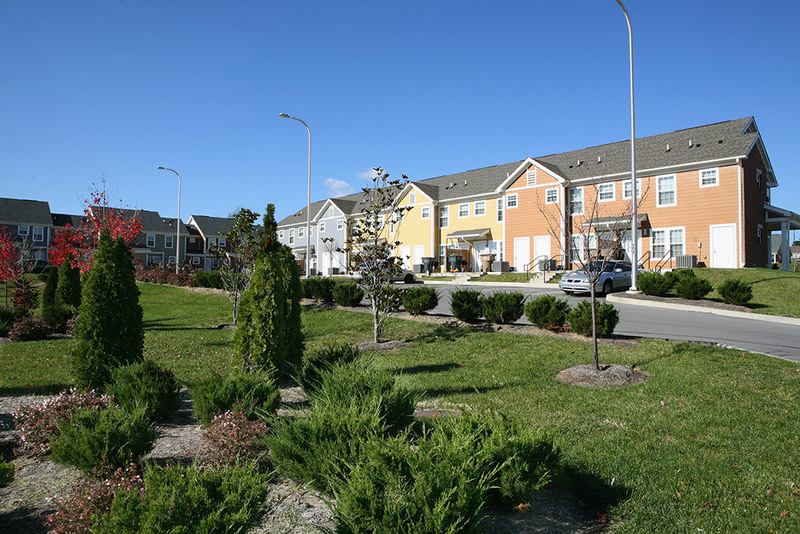 Capehart Housing at Fort Campbell Army Base in Clarksville, TN, is credited as the company's first big project. It came about as a direct result of the Cold War and the need for a permanent standing army. With hopes of bringing in $50,000 in revenue in the first year, the company would go on to earn $89,333 in 1955 and $102,488 in 1956. According to Dan Barge, Jr., the hope of landing construction phase services on the Capitol Hill Redevelopment project was the inspiration for founding the firm. Though they didn’t win the job, in January 1955, a company was born: Barge-Waggoner, Inc. At that time, Waggoner and Associates’ stock was redistributed among Bill Waggoner, Dan Barge, Jr., and Billy Sumner. In September 1955, Billy Sumner is named as the third principal of the firm. Bill Waggoner's firm, Waggoner & Associates, welcomes Dan Barge Jr., and votes to change the company name to Barge-Waggoner, Inc. on January 1. To put the company's name toward the front of the phone book, Barge was listed ahead of Waggoner. When Ford Motor Co. was looking to build its first major glass plant, the company decided to put the facility in the South. In July 1955, Ford announced that it was building a $10 million glass plant that would employ 2,500 people in Nashville. Barge, Waggoner and Sumner provided surveying of the site for the Ford Glass Plant, which was one of the biggest recruitments in Nashville business history. In September, Billy T. Sumner begins working full time for Barge-Waggoner, Inc., and joins Dan Barge, Jr. and Bill Waggoner as principals. Bill Cannon joins the company the same month. BW&S is hired by the Army Corps of Engineers to engineer the relocation and recontruction of Eddyville, KY, which is to be impounded by Barkley Reservoir. BW&S helps start Harpeth Valley Utilities District in west Nashville. The relationship will continue for more than 50 years. This includes work for the utilities district done by Hunter Owen, who would be hired by the company in 1958, and would have the city-run sewer plant in his hometown of Mt. Pleasant named for him. Bill Cannon, one of BW&S's first hires, is sent to Manchester, TN, as resident engineer to design a water and sewer improvement project. 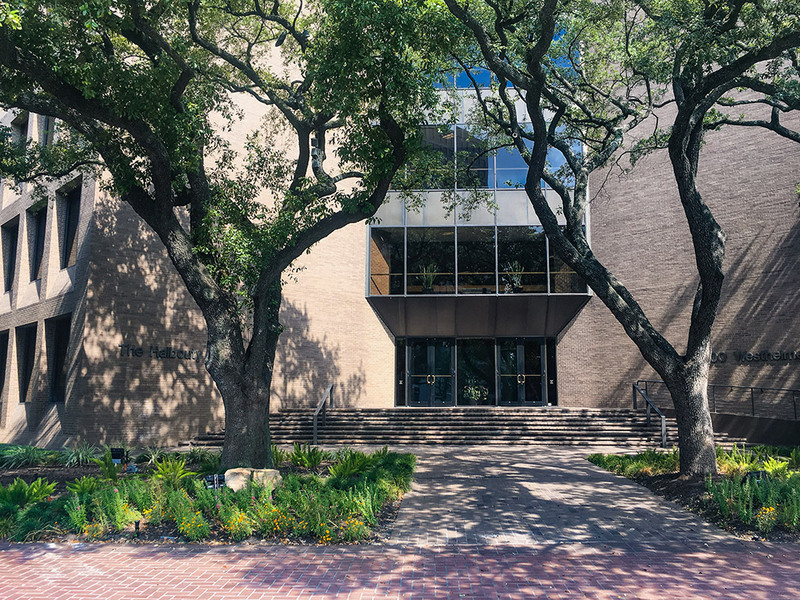 BW&S moves from its "office under the bridge" to the IBM building at 450 James Robertson Parkway. BW&S sends Bill Cannon to East Tennessee to establish the company's first branch office in Morristown. Although eventually absorbed by the bigger Knoxville office in 2001, the Morristown office provides 40 years of municipal, industrial, and private work. On February 6, at the first annual meeting of Directors of Barge-Waggoner, Inc., a vote is held to rename the company Barge, Waggoner and Sumner, Inc. Billy Sumner is named Vice President and elected as one of four officers. 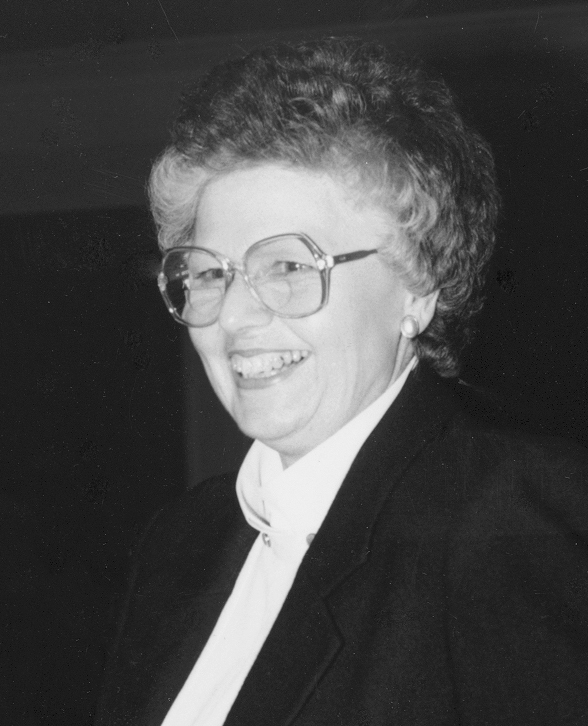 In March 1956, the firm's name is officially changed to Barge, Waggoner, and Sumner, Inc.
Barbara Faughn is hired as secretary by Dan Barge Jr. Barbara’s service was so strong that by the 1970's she had become the company's first female board member. She retired in 1991. Other women to be elected to the Board of Directors include Julie Mosley (2004-2006), Paula Harris (2006-present), and Carrie Stokes (2015-present). 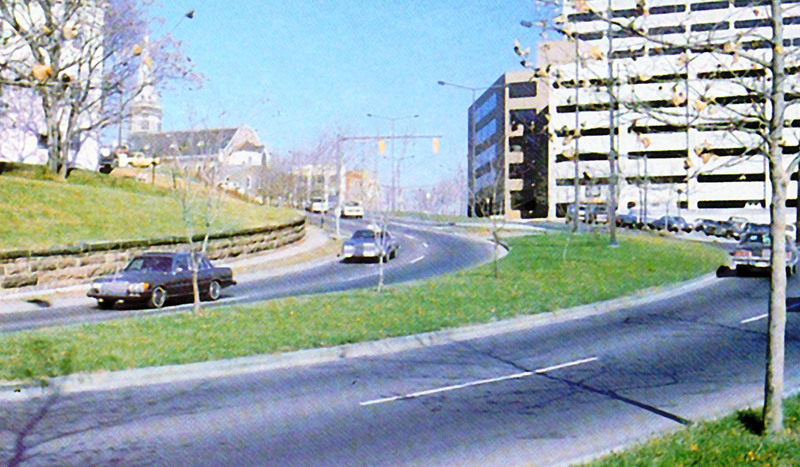 The 1,100-acre Edgehill Urban Renewal project in Nashville begins and provides steady work until 1980. The company worked on over 30 contracts related to this project, which totaled more than $10 million. An onsite office for this project was established that included surveyor and draftsman Harold Fulghum and draftsman Robert Brown. 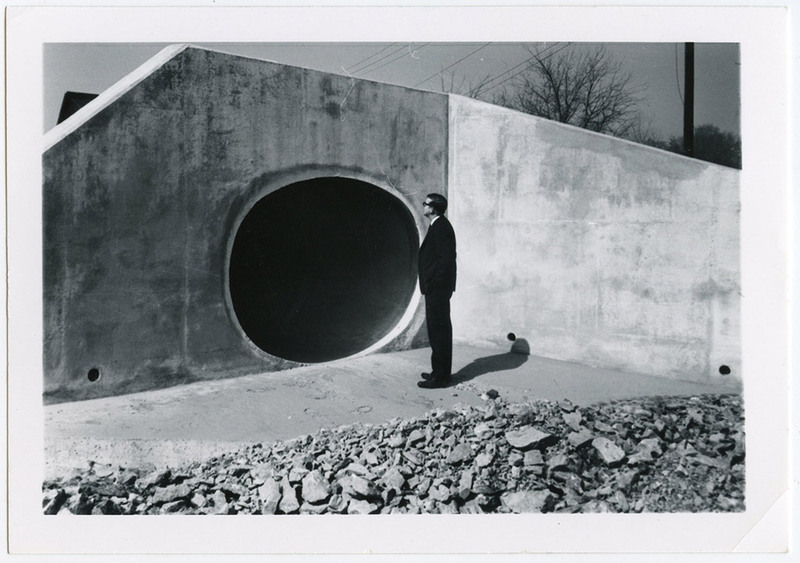 An offshoot of the Edgehill Urban Renewal Project was the Wilson Springs Storm Water Tunnel. In September 1962, the Edgehill area flooded, and Barge, Waggoner and Sumner was hired to determine the most feasible solution. The existing trunk sewers were overloaded, some sections as much as 500 percent. 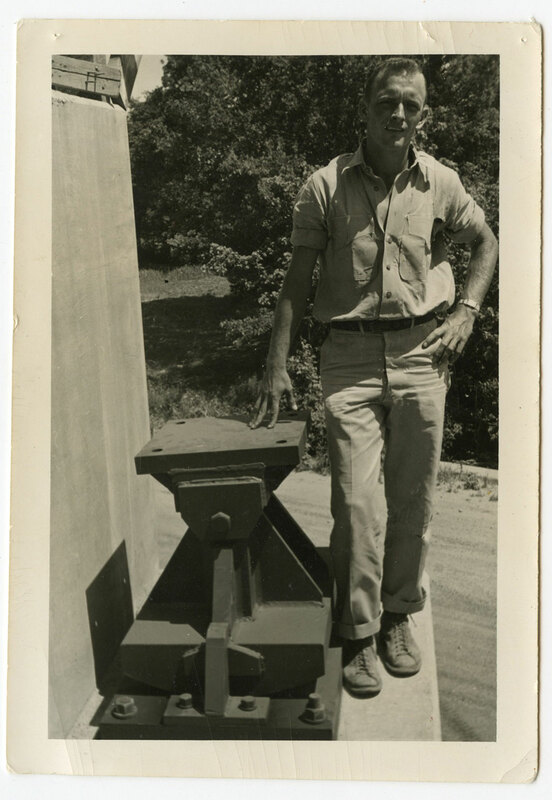 Barge Waggoner designed a new Wilson Springs Storm Water Tunnel and oversaw construction. The tunnel was dug with dynamite, jackhammers, and human labor. The project was completed in May 1967, and it effectively solved the flooding problem for that part of Nashville. 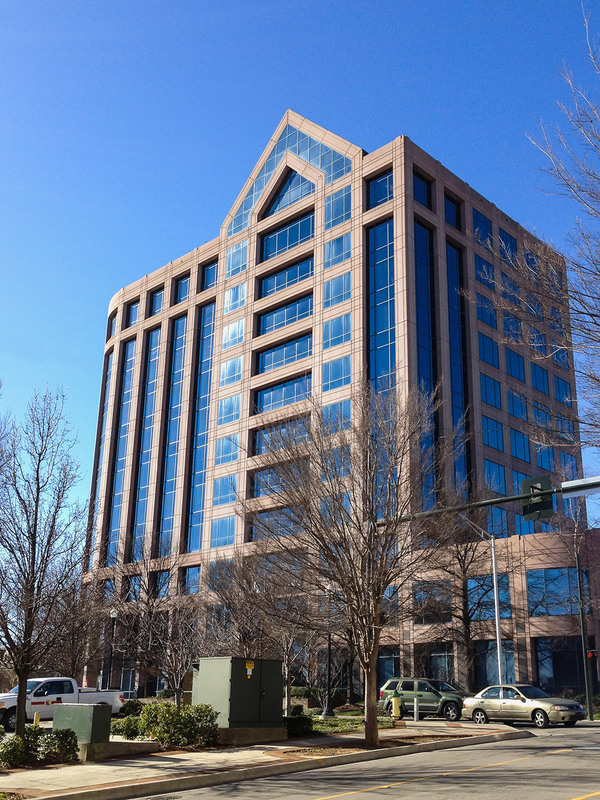 BW&S moves to the Parkway Towers building. The Board of Directors adopts an Employees' Profit Sharing Plan. This year also included the first 2-for-1 stock split, expansion of company ownership from nine shareholders to 23, and the first "semi-formal report" issued to shareholders. Number of projects exceed 1,000 in a single year. BW&S completes the company's first company brochure. BW&S participates in Tennessee Technological University’s Cooperative Education Program that allowed students to work for one year in their selected discipline. BW&S is commissioned by National Life & Accident Insurance Company to assist in the design of the utilities, site work, and access to a new 300-acre $20 million project known as Opryland USA. The company has been a partner with Opryland for similar and related services for almost 50 years. 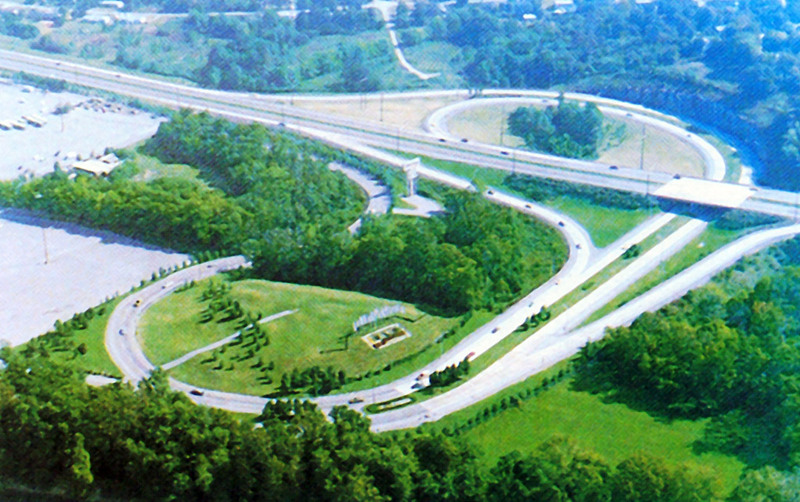 BW&S designs Briley Parkway, linking Opryland to I-40 and I-65. The company begins work for Nashville's Rivergate Mall. The company will go on to provide engineering for all of Nashville's major indoor malls. L&N Railroad bridge over Charlotte Pike in Nashville is widened by two lanes. BW&S’ design allows nonstop rail traffic throughout construction. The company begins work for HOPE IV housing projects in Nashville, which continues for several decades. 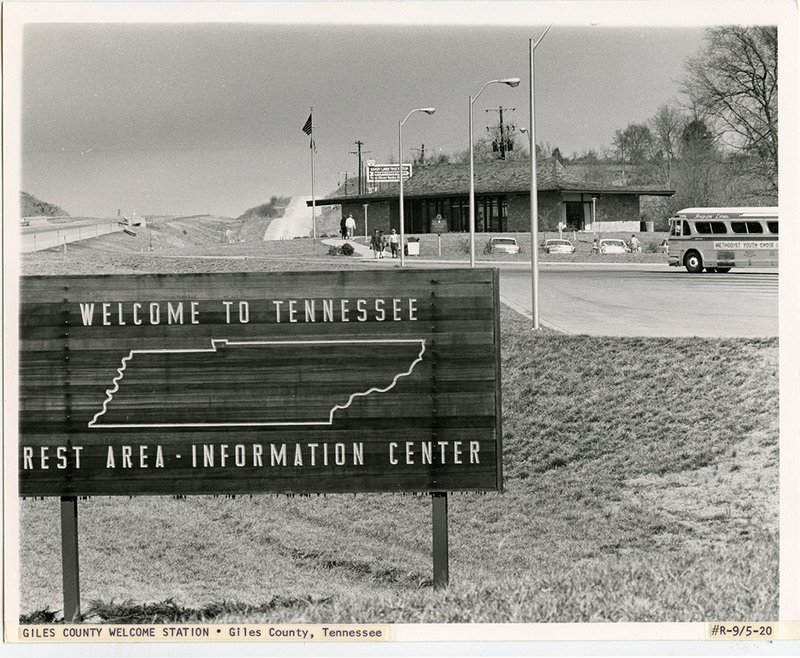 Engineers Tom Lee and Hunter Owen, along with architect Tom Woodard, lead BW&S begins work on the redesign of the standard plan for the Tennessee Highway Department Interstate rest areas and welcome centers. Bill Cannon is named a principal, and the company changes its name to Barge, Waggoner, Sumner and Cannon, Inc.
After the company’s almost around-the-clock service during the last six weeks of the project, Opryland USA opens its doors to the public. 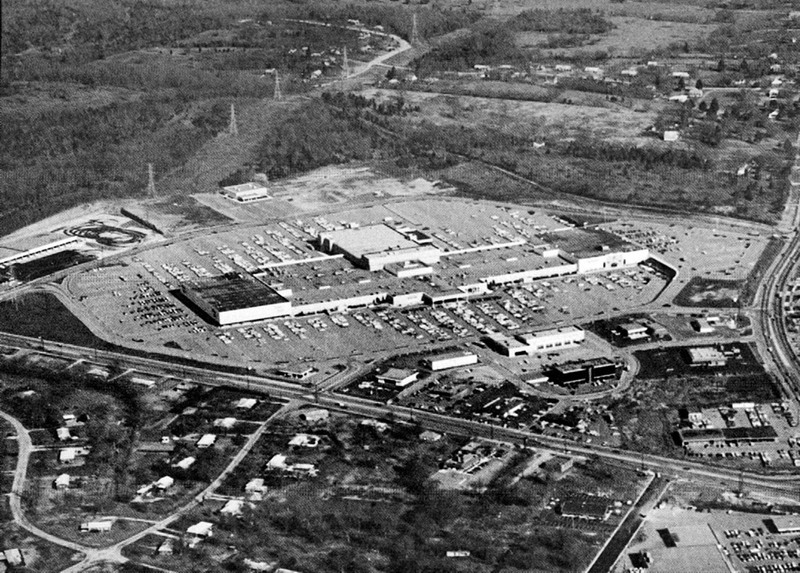 The area known as MetroCenter was previously often referred to as Bush Bottoms. The 600-acre area was mostly undeveloped and located in the Cumberland River floodplain. The MetroCenter development originated from an idea of R. C. (Bobby) Mathews Jr. For this development, Barge, Waggoner and Sumner supervised the building of the MetroCenter levee, road surveying and pavement, and utilities installation. 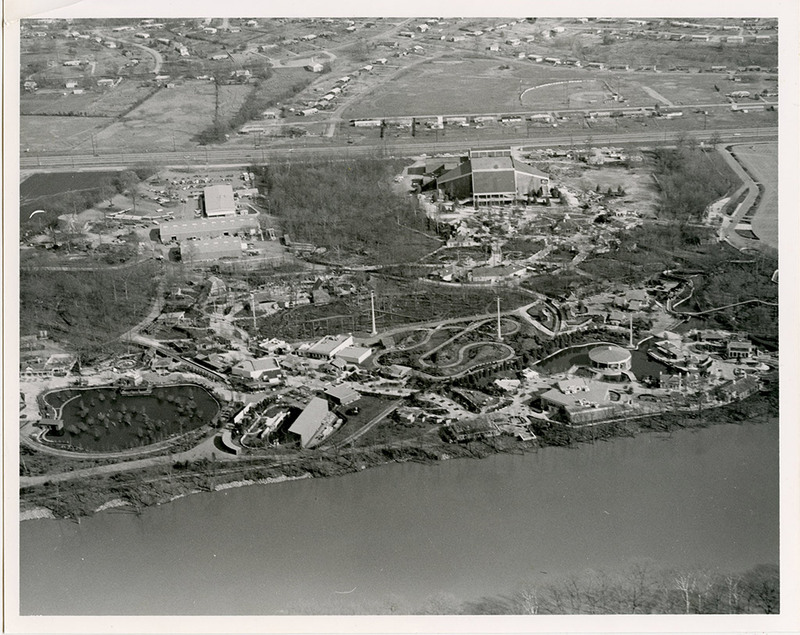 Construction began in April 1972, the month that the Opryland theme park opened. 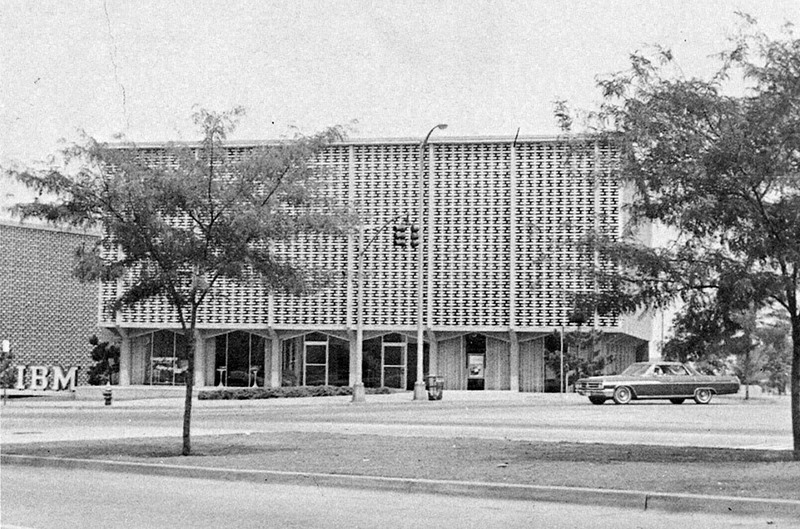 As MetroCenter began to get office and hotel tenants in the late 1970s, the firm did all the civil engineering work related to those buildouts. After all of these efforts, MetroCenter became one of the most profitable conversions of property in the history of Davidson County. BWSC opens an office in the former home of the Knoxville Journal located in downtown Knoxville, TN. It will grow to be the company's second largest office. Staff from the Morristown office open a field office in downtown Johnson City to better serve clients in the area. The field office will eventually become the Tri-Cities office. Run by the administrative group of Frances McDonald, Barbara Faughn, and Mary Whitehead, BWSC's cost accounting and payroll system is computerized. This new system offers more accurate information more quickly. 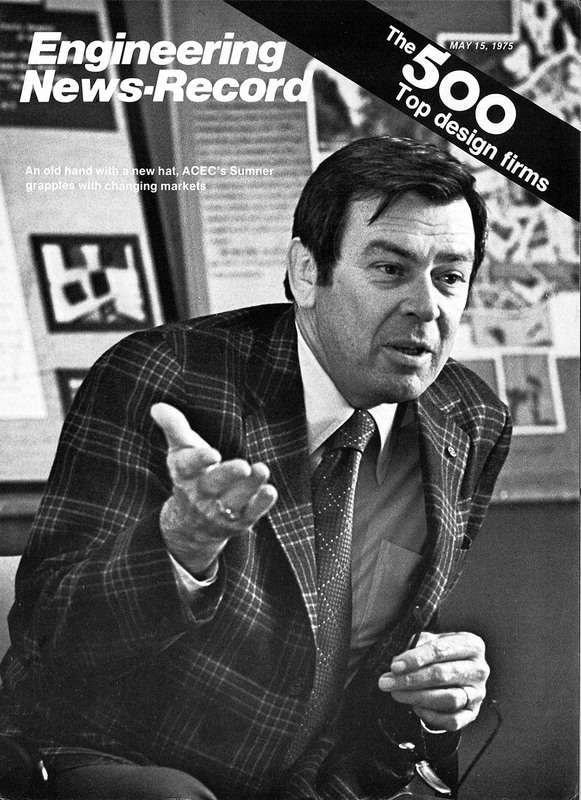 "No other team ever adapted to such a system so quickly", said Dr. William H. Rowan, the system’s designer. Billy Sumner, national president of ACEC, is featured in the Engineering News Record magazine and pictured on the cover. The Huntsville, AL office opens in the Central Bank Building to begin work on a sidewalk project for the City of Huntsville. The company experiences a 13% increase in income and a staggering 70% increase in profits. Shareholders would see a 65% increase in earnings per share of stock, making the 21st year of business another record year. An employee pension plan is instituted covering all employees with a year's service. First year contributions by the company totaled over $400,000. Led by Bill Cannon, BWSC's East Tennessee Operations begin work on the 1982 World's Fair, formerly known as the Knoxville International Energy Exposition (Expo '82). Constructed on 70 acres between downtown Knoxville and the University of Tennessee, the fair ran from May through October 1982, bringing an estimated 11 million visitors to Knoxville. This would be the group's largest project to date. BWSC celebrates its 25th anniversary. In June, the Board of Directors establish the Award of Merit to recognize employees who demonstrate "extraordinary initiative or capability, beyond the normal requirements of the position, in furthering the interests of the company." Employee Stock Bonus Plan is adopted. Howard Brainerd helped land one of the company’s biggest industrial clients to date, Heil-Quaker, a division of Whirlpool. This started with a series of small engineering jobs, and since Whirlpool was delighted with the quality of BWSC’s work; subsequent work included a 200,000-square-foot addition and major upgrades to an existing plant. BWSC spends $350K on two dual-monitor CADD workstations tied to a VAX 11/730 computer. By the end of 1983, three more are purchased. Notable projects that used the system in 1983 were the I-40 bridge widenings and Opryland USA's Delta Demon Ride foundations. Planning begins on Nashville airport's new terminal and access from I-40. Construction would be completed in 1986. The Johnson City office, led by Garland Rose, begins survey work for Tennessee Eastman, which would later be known as Eastman Chemical. At the time, Tennessee Eastman was the largest private employer in East Tennessee. This relationship will grow over the years and continue to serve as one of the key client relationships in the company's history. Eastman has looked to BWSC for a large range of services for over 30 years. 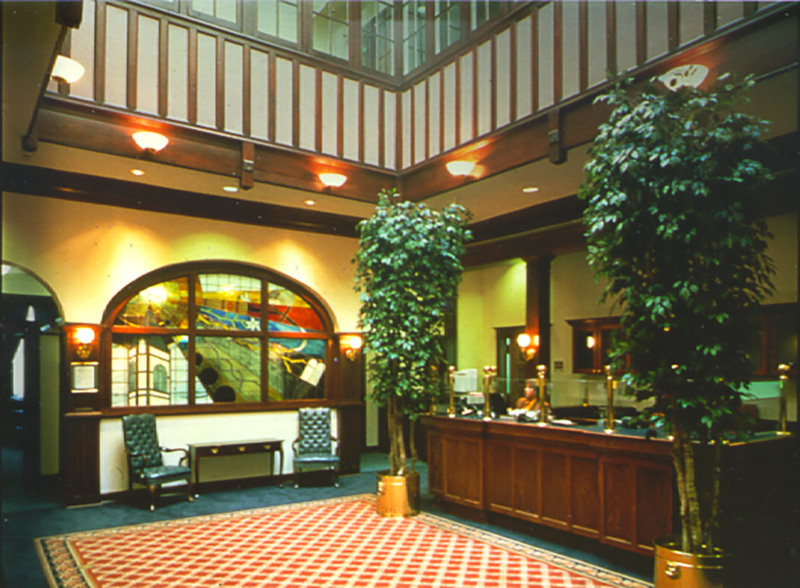 BWSC's most notable Eastman project is their Corporate Business Center. Bill Waggoner retires on November 30. Billy T. Sumner is named President of BWSC. Bill Cannon is elevated to Executive Vice President. 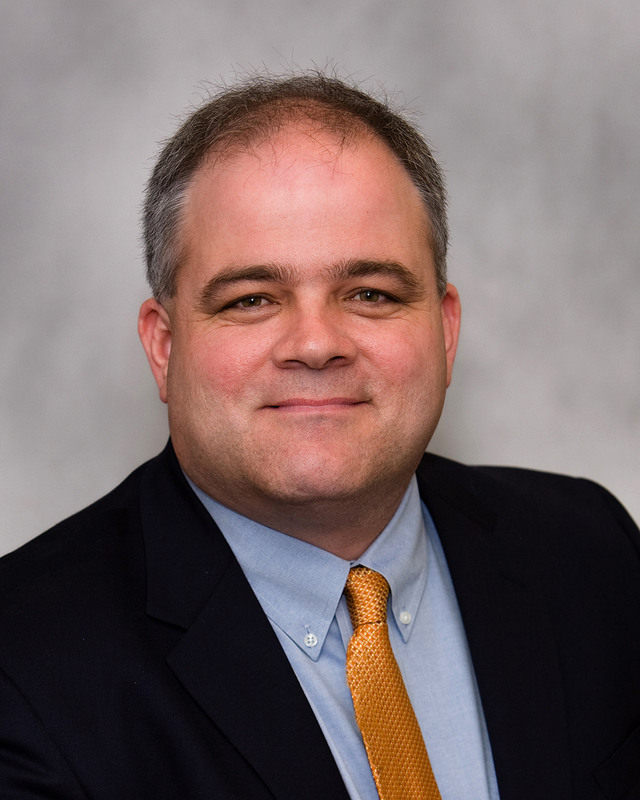 Dan Barge Jr., elected as national president of ASCE. Thomas (Tom) A. Allen is hired as Accounting Manager. He would go on to serve as the company's Chief Financial Officer until his retirement in 2012. 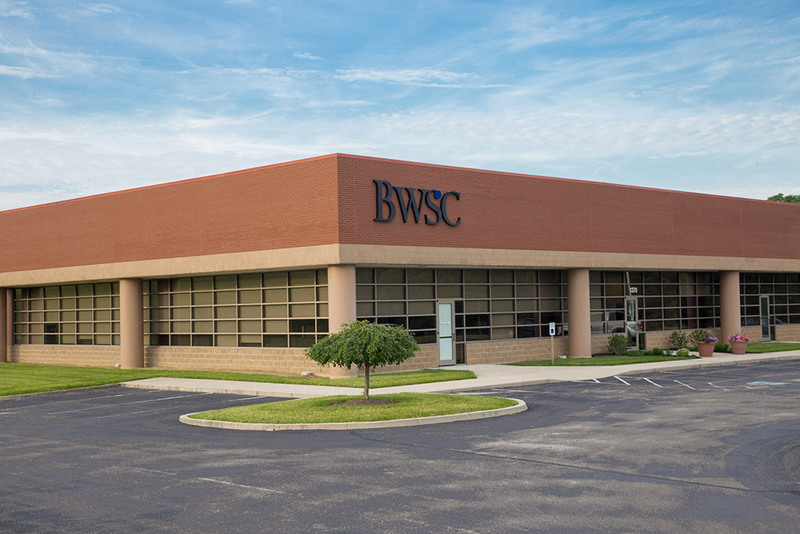 BWSC opens a Memphis office due to an increase of projects in West Tennessee. A limited partnership (BWS&C Associates, Ltd.) composed of BWSC stockholders, with RCM Interests as the general partner, purchases and renovates the former Banner Building at 162 Third Avenue North for BWSC to occupy. BWSC Nashville occupies 162 Third Avenue North on July 4, 1985. Revenue leaps 33% in one year to $11.65M, up from $8.77 million in FY83. Stock value climbs from $435.28 in FY83 to $500.45 per share, resulting in a 15% increase. For improvements to the Nashville Thermal Transfer Plant, Barge Waggoner was part of the team for the design and engineering work to upgrade the distribution system. This allowed the plant to double the amount of garbage it burned and the amount of heating and cooling it produced. During the project, Harold Fulghum had the idea of digging tunnels instead of digging up downtown’s streets, which avoided disrupting traffic. In 1985 and 1986 a boring machine dug a series of eight-and-a-half-foot-diameter tunnels about 50 feet below downtown Nashville. The 3,360-foot tunnel system only required about two-thirds of the $8 million originally allotted for extending the distribution system. The first employee handbook is developed by the Personnel Department (later referred to as Human Resources). 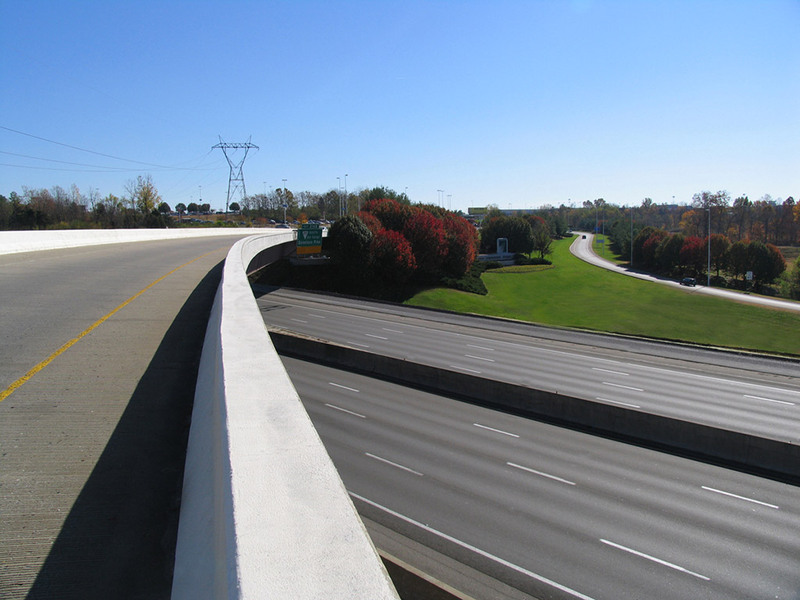 Interstate 440 opens to the public. 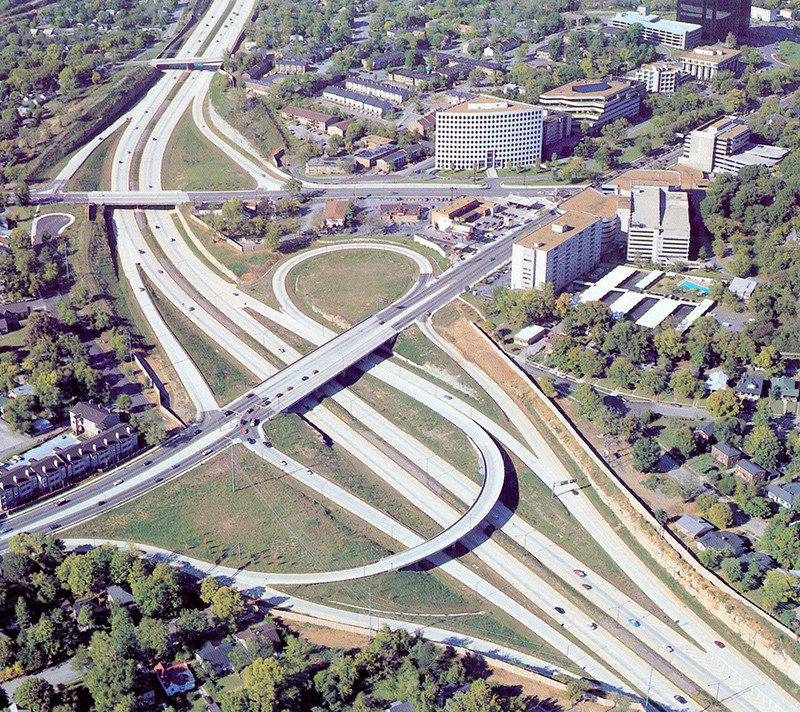 The seven-mile parkway in Nashville is almost entirely a BWSC design. Revenue hits an all-time high of $16.5 million, resulting in a 16% increase over FY85. Stock value rises from $111.65 per share to $124.07 per share. Billy T. Sumner is appointed Chairman of the Board. Dan Barge Jr. retires at the age of 66. BWSC acquires Wainwright Engineering, an Alabama company founded by Sam Wainwright known for airport planning and engineering, as well as municipal utility work. Wainwright's offices in Montgomery and Dothan join BWSC's Huntsville office and give the company a presence throughout Alabama. 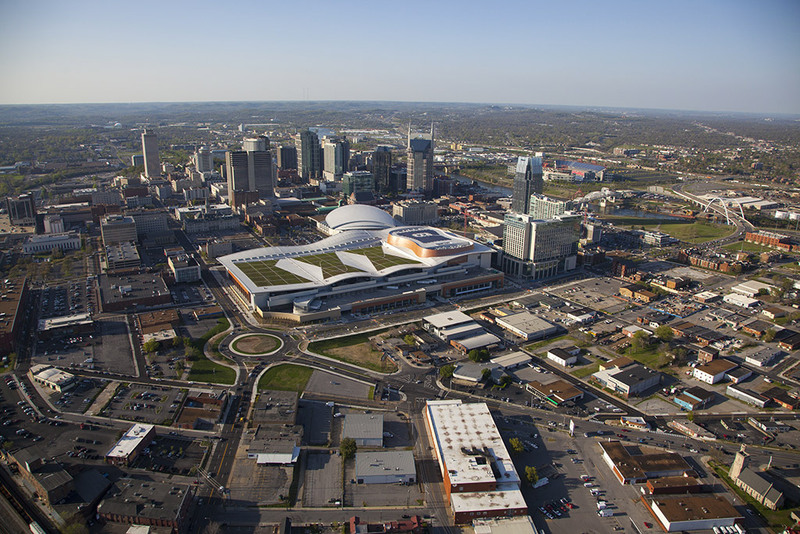 The Nashville office welcomes a new planning and landscape architecture division. BWSC provides the first of many major expansions for Bridgestone/Firestone. BWSC teams with the Nashville Machine Company and is selected by the University of Alabama in Huntsville to design a hypervelocity range facility, later named the Aerophysics Research Center, at Redstone Arsenal in Huntsville. The team was asked to move, reassemble, and test fire four light-gas guns located in Santa Barbara, CA. The company first begins work for Logan Aluminum, based in Russellville, KY. This begins a long-term relationship when, years later, Logan asks BWSC to return working for them after contracting with others, because Logan knew BWSC would get the job done right. 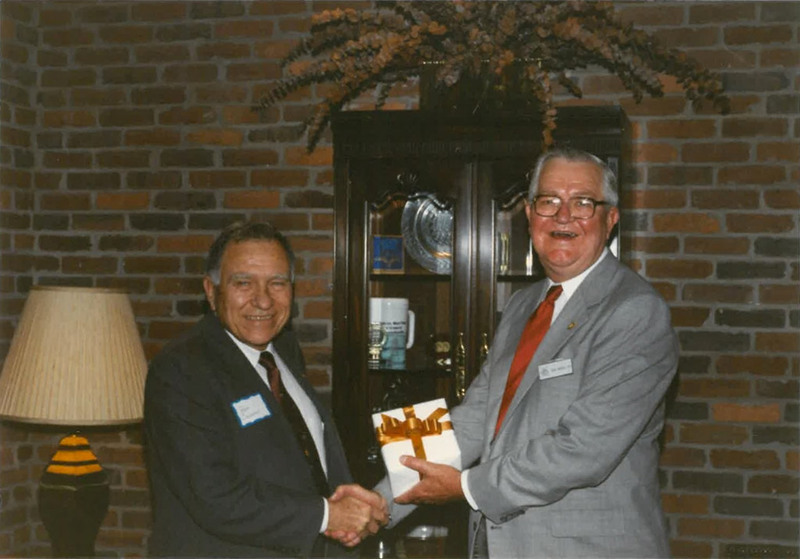 Jack L. Wood begins as President following a 1986 board approved leadership transition with Dan Barge Jr. stepping aside, and both Billy Sumner and Bill Cannon each spending a year as president. 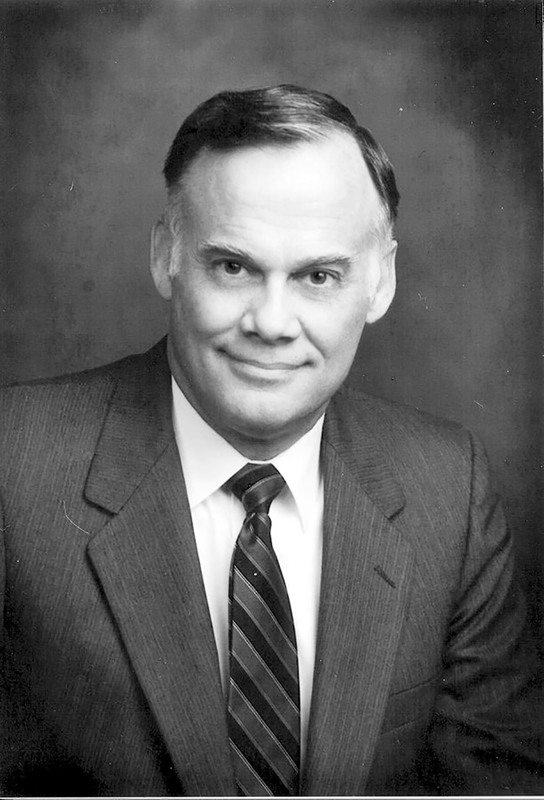 The role of Chief Executive Officer (CEO) would later be added (1995) to the duties of Jack Wood, in addition to his role as the company's President. Concurrent with the contract award for indefinite-delivery services for DOE contractor EG&G at the Mound facility in Miamisburg, OH, BWSC opens a new office in Miamisburg to better serve the client. The office becomes a hub of DOD and design/build work for BWSC. 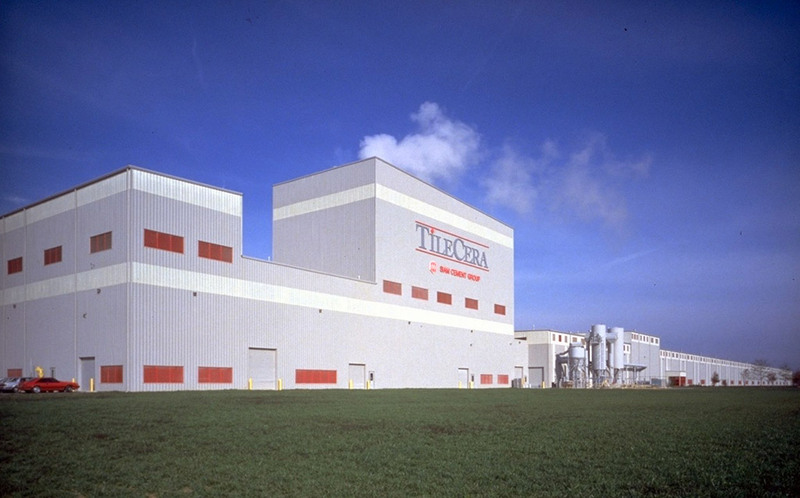 Design begins on the TileCera, Inc., tile manufacturing facility in Clarksville, TN. It would mark the first U.S. venture with a company based in Bangkok, Thailand. Nashville staff conducted an environmental assessment for the plant location. 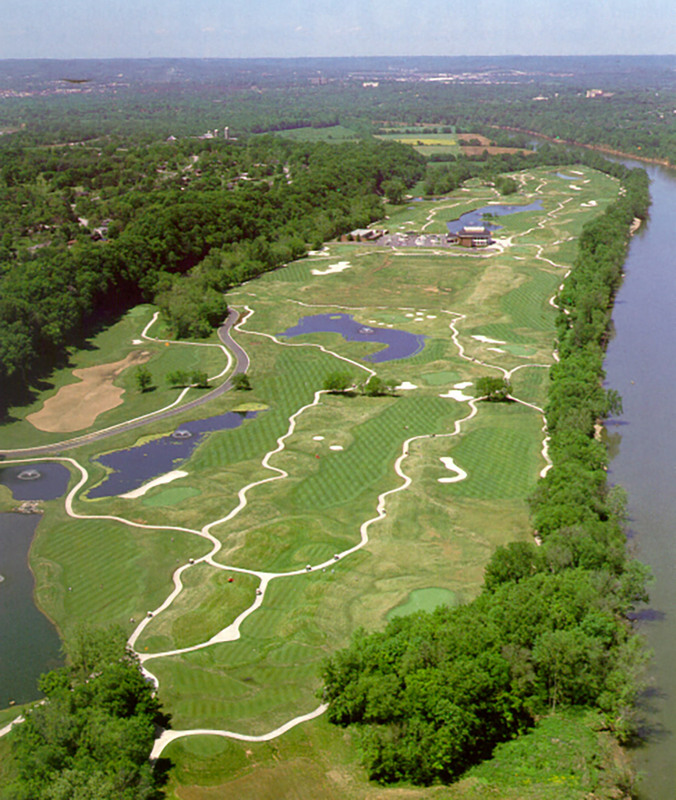 A BWSC project, Opryland's Springhouse Golf Course opens for play in September. In response to increasing work from the DOE facility at Oak Ridge, TN, BWSC opens an office in the city known for nuclear technology. 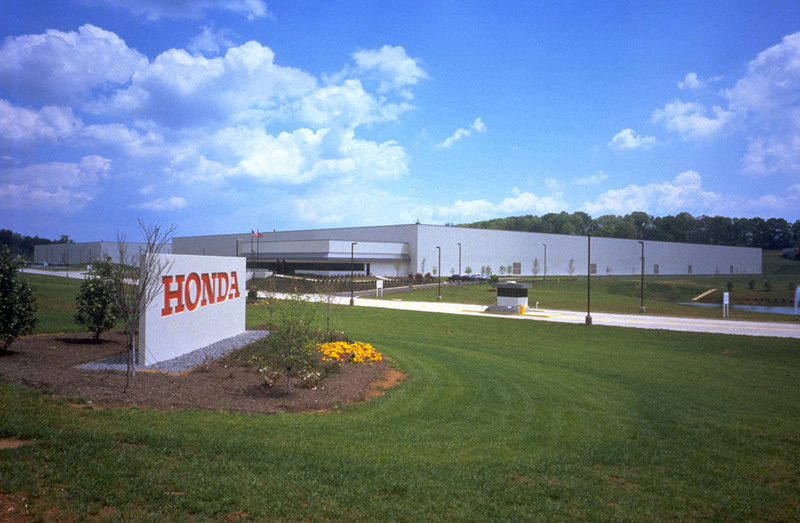 American Honda Motor Company hires BWSC’s Knoxville office to design and oversee construction of a spare parts warehouse in Loudon, TN. Honda was so pleased with BWSC’s quality of work, that they would go on to use the company's services for many years to come. This relationship spans many states and includes projects such as a new headquarters, a research and development facility, and more. Two companies were acquired and incorporated into BWSC operations. CIS, Inc., a specialty company in industrial mechanical reliability engineering, operated as a wholly owned subsidiary of BWSC throughout 1995. C&C Engineering, a civil/surveying company located in Jasper, AL, was added as a new office. In celebration of the company's 40th anniversary (1994), the State of Tennessee House of Representatives adopted a resolution to honor and commend BWSC. Bill Cannon retires as Chairman of the Board in December. 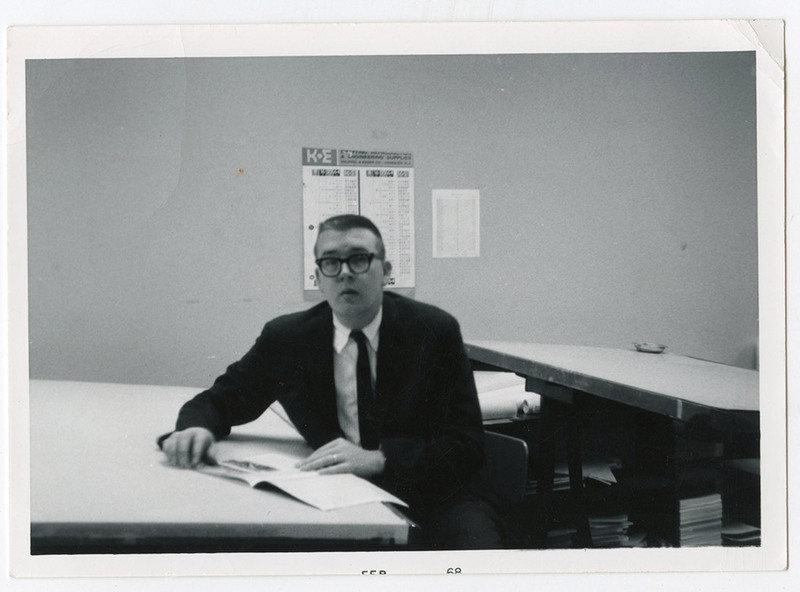 Hired in December 1957, Harold Fulghum began his BWSC career as a high school graduate hired as an assistant to the print operator. Through hard work and dedication, he earned his engineer's degree at night and became a professional engineer shortly thereafter. By 1996, he had advanced all the way up to Chairman of the Board. Mr. Fulghum retired on January 31, 2003 after 45 years of continuous and distinguished service. In Nashville, Planners, Landscape Architects, and Corporate Marketing relocate to the second floor at Butler's Run on 2nd Avenue. Revenue surges to $33 million, an increase of 14% over 1994. Stock value increases by 10%. nashville@bargewaggoner.com, the company's first email address, is created. BWSC receives an Award of Merit from the Tennessee Historical Commission for preservation efforts at Fisk University's Carnegie Hall. Preliminary investigations for a new Tennessee NFL stadium begin. 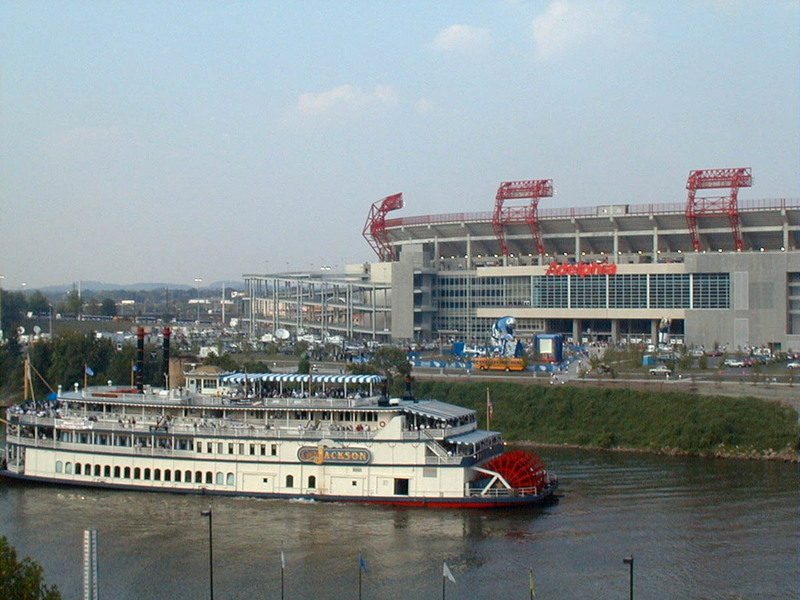 In August 1999, after relocating from Houston, Texas, the Tennessee Titans (formerly Houston Oilers, then Tennessee Oilers) play their first preseason game in their new home at Adelphia Coliseum in downtown Nashville, TN. 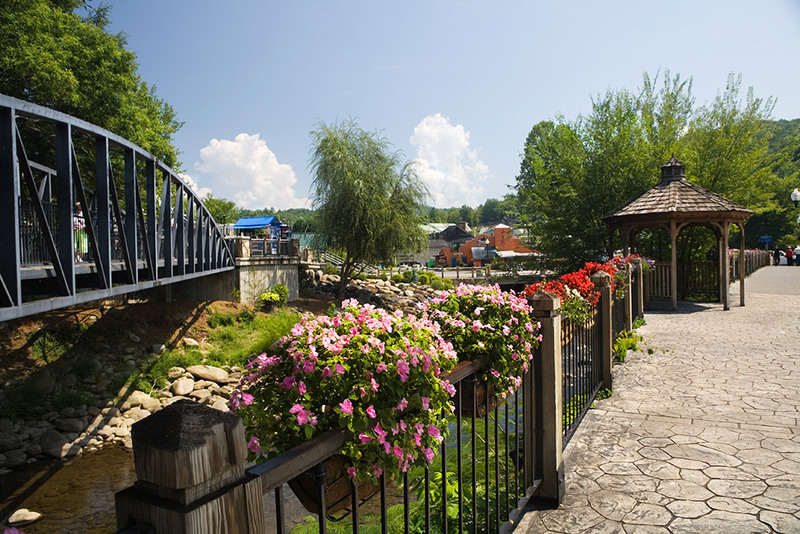 Plans are completed and construction begins on the Gatlinburg Riverwalk. The project included relocating overhead utilities underground and extensive streetscape improvements along with new street lighting. 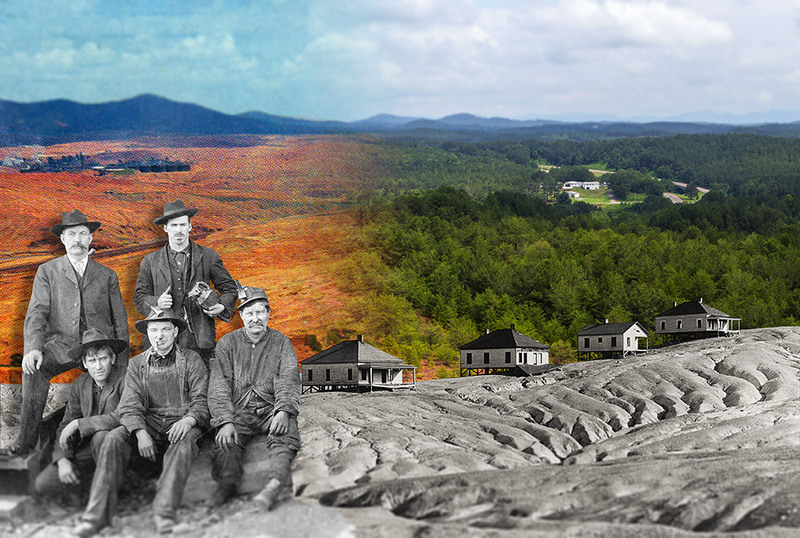 Glenn Springs Holdings, Inc. manages the area known as Copperhill and selects BWSC to assist in analyzing and revitalizing the former mining site ravaged by generations of copper mining. This first effort began a 15-year partnership, and was led by Jim Downing, whose roles included environmental engineer, CEO, and Chairman of the Board. 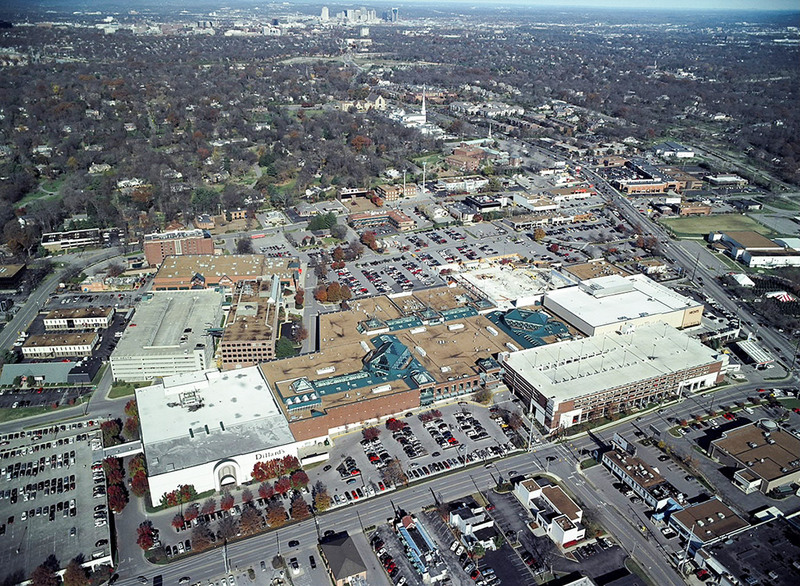 Work for The Mall at Green Hills is led by Bill Lockwood, as he shepherds the relationship with Davis Street Land Company from 1997 through present day. Some projects include Macy's expansion, new parking garage, relocation of Dillards, and Nordstrom and Restoration Hardware additions. The company launches their first website, www.bargewaggoner.com. 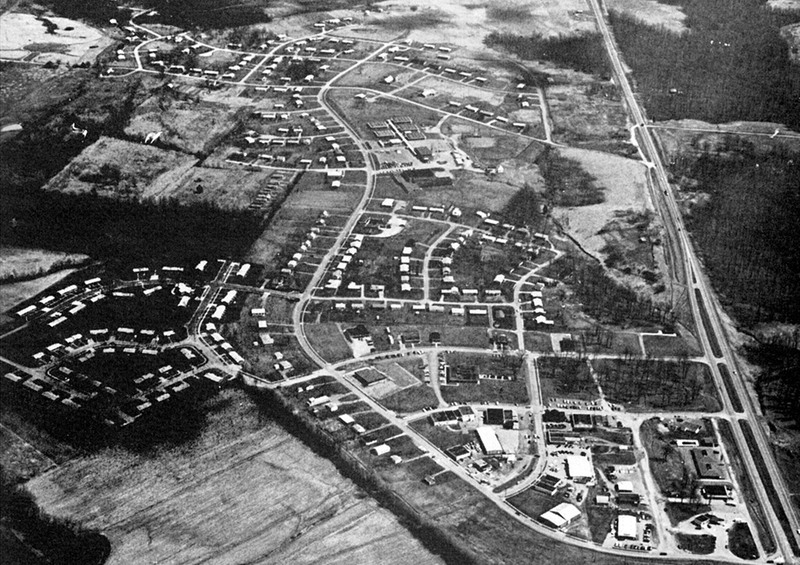 BWSC’s involvement in Metropolitan Development and Housing Agency (MDHA) HOPE IV Nashville would include Sam Levy Homes and John Henry Hale Homes through 2007. Stock value jumps 10.8%. In an effort to keep cost per share affordable, Board members approve a 3-for-1 stock split. 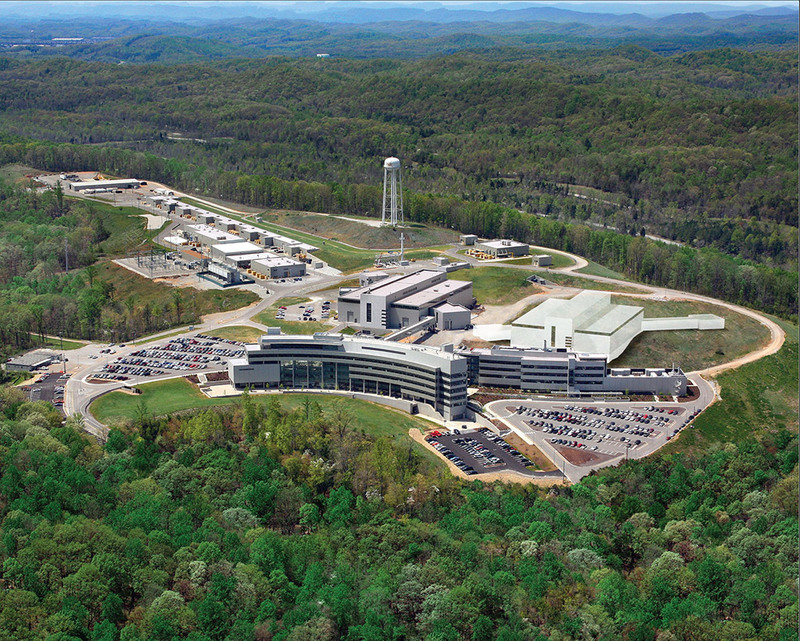 Construction begins on Oak Ridge National Laboratory's Spallation Neutron Source materials research facility in Oak Ridge, TN. BWSC headquarters moves 200 feet south to 211 Commerce Street into three floors of the new Commerce Center. BWSC opens an office in Birmingham, AL. Following a 3-for-1 split in 1998, stock value increases yet again by 10%. ResourceTek, a technical staff augmentation and recruitment company and subsidiary of BWSC, is founded. BWSC begins work on NASA’s facilities on an on-call basis for a variety of design, upgrade, and renovation tasks. This work continues for several years to support NASA’s mission by providing planning and design for their projects that include assembly facilities, test facilities, and office buildings. Chattanooga gets an office and begins making inroads into Georgia. Work begins for Guntersville Municipal Airport in Alabama. 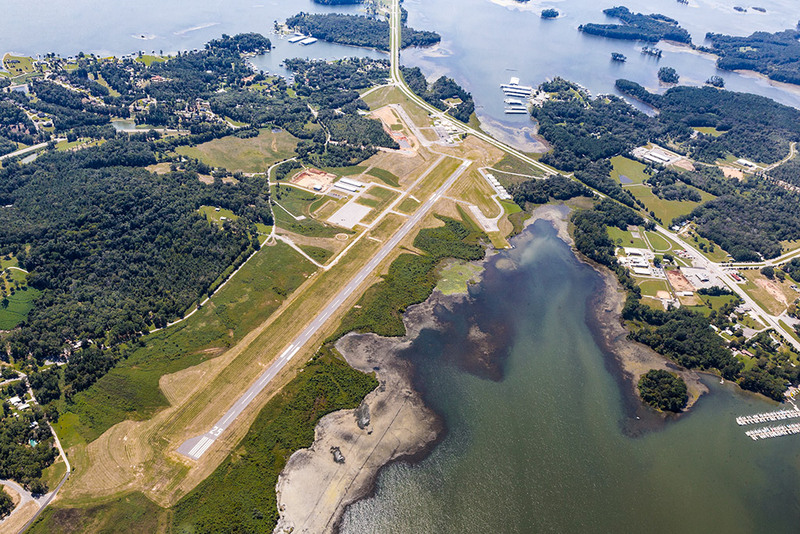 Among many projects, BWSC completed the first phase of runway construction, which received the largest FAA grant to a general aviation airport in Alabama in 20 years. BWSC’s relationship with Wright-Patterson Air Force Base begins and leads to multiple design and consulting engagements to improve facilities and strengthen the mission of this important military installation. Despite of an already unstable economy and the tragic events of September 11, 2001, BWSC still manages a modest 3% growth in revenue. A new corporate organization went into effect on January 1 that saw Jack L. Wood become Chairman of the Board, Ray Evans the Chief Executive Officer, and David Davidson the President and Chief Operating Officer. The company's reporting structure is reorganized into three geographic regions (Central, Eastern, and Southern). BWSC celebrates 50 years of business. 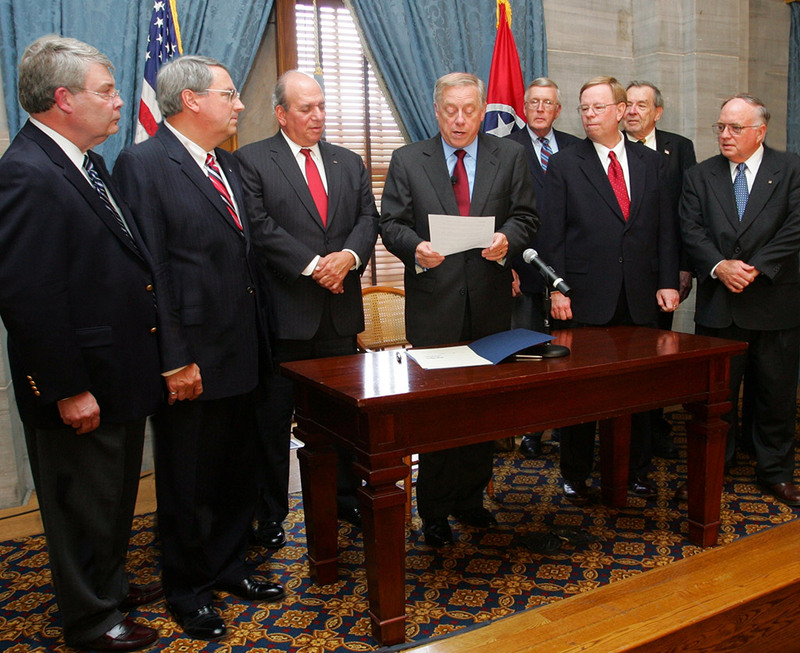 As part of the celebration, then Tennessee Governor Phil Bredesen signs State of Tennessee House of Representatives Resolution No. 105 commemorating the company's 50th anniversary. The company commissions Nashville based author, Bill Carey, to write a book about the company's history. Titled "The Way They Wanted It", Carey's book is published in 2007. Chairman Jack Wood transitions to Chairman Emeritus. Ray Evans becomes Chairman of the Board, along with his existing role as CEO. David Davidson begins serving as President and COO. Chairman and CEO Ray Evans transitions to Chairman Emeritus. Garland Rose, who had been with the company since 1975 in multiple roles, is elected as the new Chairman of the Board. Jim Downing assumes the role of CEO. 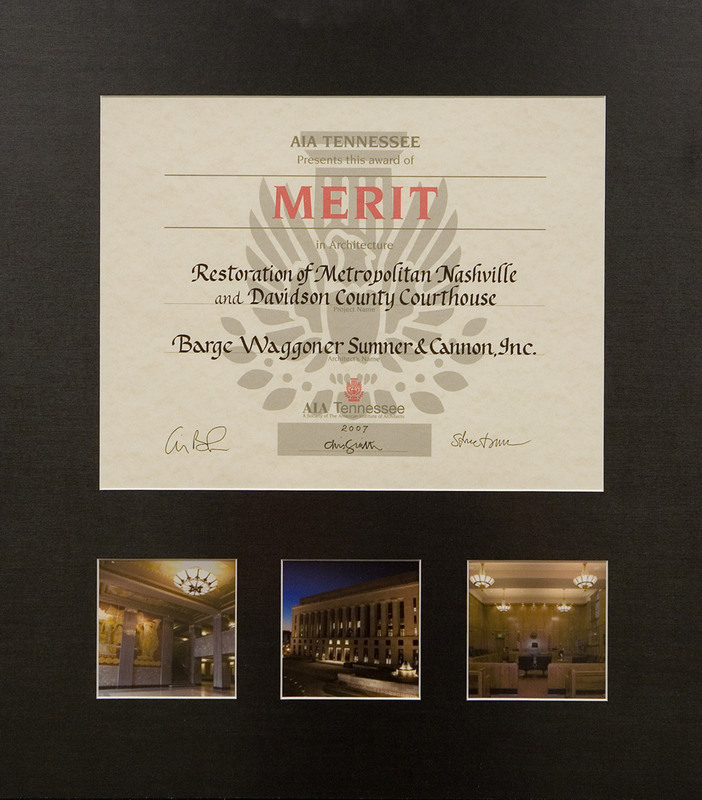 BWSC receives the AIA Tennessee Award of Merit in Architecture for the restoration of the Metropolitan Nashville and Davidson County Courthouse. Music City Center work begins. This includes work with MDHA, substation relocation, the Country Music Hall of Fame, and the Omni Hotel. The Music City Center opened in May 2013. 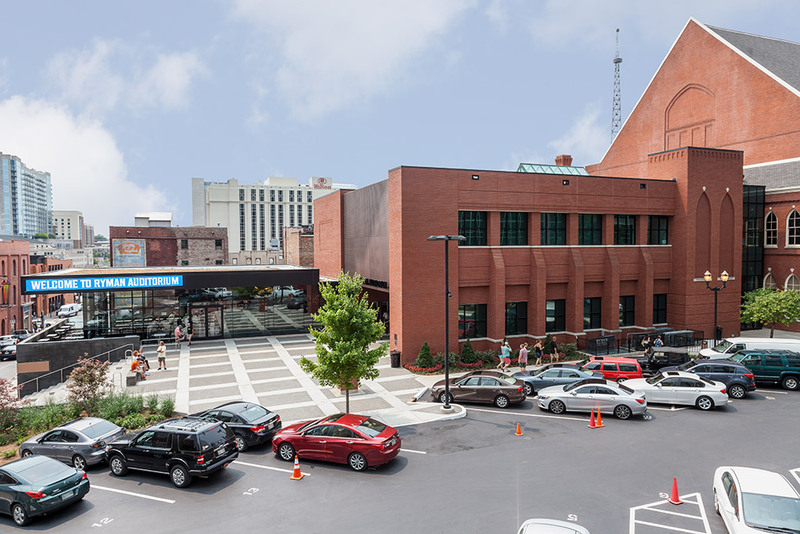 Work begins for expansion of the Ryman Auditorium, the famed music venue in Nashville. 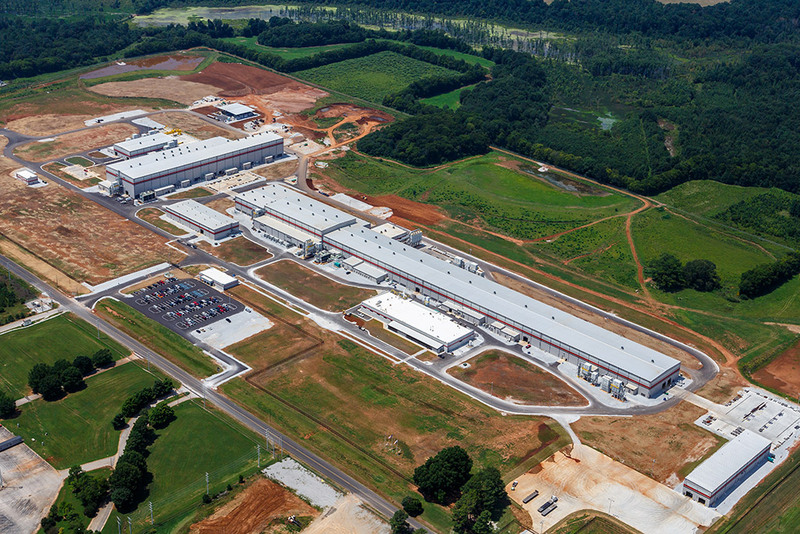 When Volkswagen selected Chattanooga’s Enterprise South Industrial Park as the location for its new North American assembly plant, BWSC helped prepare the industrial park pad and complete the site preparation for Volkswagen. 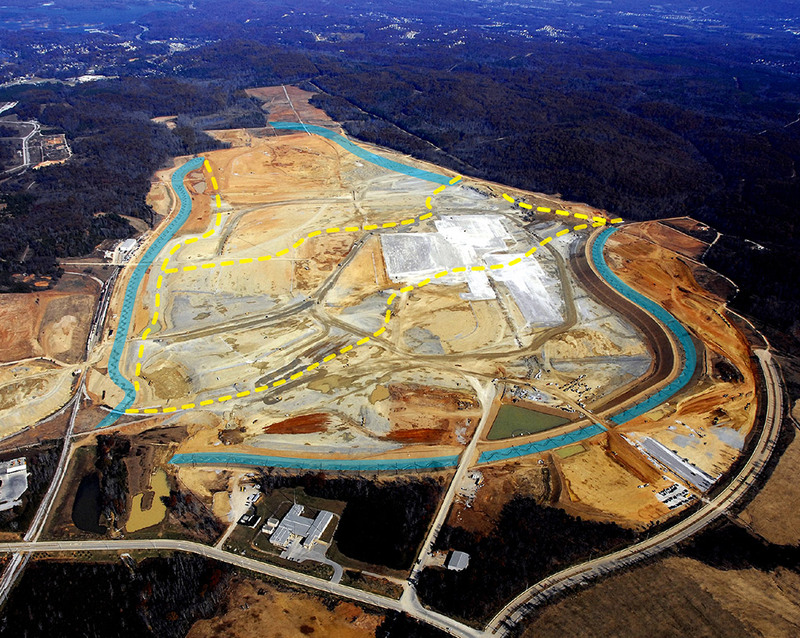 This included moving approximately 7 million cubic yards of earthen material in six months on the 1,000-acre site pad. BWSC also provided design and permitting services for relocation of streams on an accelerated schedule. BWSC’s work at this site began in 2001, providing design services to help upgrade the site to make it more competitive to attract industry in the global marketplace. Bob Higgins is selected by the Board as President and CEO. Mr. Higgins began his career with BWSC as an engineering intern in 1996. After returning from a stint as City Engineer for the City of Franklin, KY, Mr. Higgins worked his way into consideration and selection for the top leadership role. Led by CEO Bob Higgins, BWSC reorganizes itself into a marketplace-based organization. This change spawned five major Business Units (Aviation, Water Services, Federal, Industrial and Building Services, and Energy and Environment). The historic flood of 2010 was a tragedy for Nashville. BWSC responded by expanding the company’s relationship with Nashville’s Metro Water Services and taking the lead to form a team with national players to secure the Flood Mitigation Measures contract. That selection, in addition to the company’s role in the design of the new levee for Opryland, led to BWSC being positioned to advise City leadership regarding development of a Unified Flood Preparedness Plan. The plan would provide a role for BWSC in Metro infrastructure decisions for the upcoming decade. BWSC partners with Lipscomb University to develop the BWSC Leadership Institute (BLI) to enhance the skills of existing leadership and to guide the development of potential future leaders of the company. The first BWSC Leadership Class was implemented in 1999. Through collaboration with the Huntsville office, BWSC teams with Turner Construction as the lead design company for a new 529,000-SF steel mill complex for Carpenter Technology. The complex will house the world's largest rotary forge and become BWSC's largest single contract secured to date. The Board of Directors votes to continue funding the corporate wellness program. BWSC Water Services secures a significant contract in Dothan, AL, when the City commission approved selection of BWSC to provide program management for the multi-year wastewater improvements program required by an Administrative Order. This selection is attributed in large part to the relationship forged between the City and BWSC staff. An additional Business Unit is implemented with the introduction of Land Resources. Housing a variety of disciplines that include civil engineering, landscape architecture, and surveying, it stands as the largest Business Unit in the company. BWSC is selected to provide surveying, design, and construction services for The Cal Ripken Experience Pigeon Forge Park. 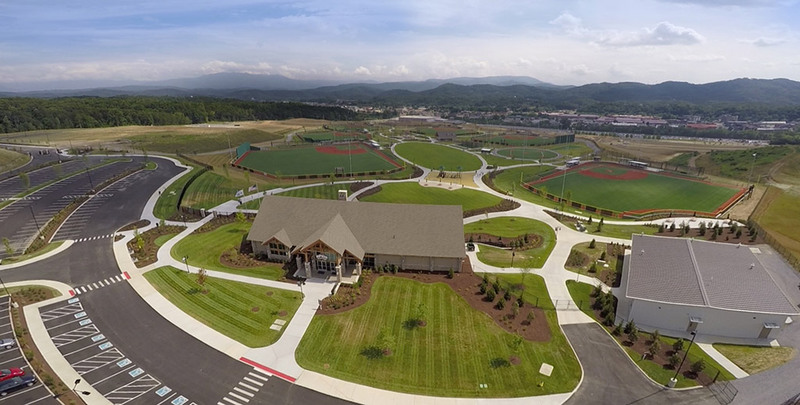 The multi-million-dollar complex consists of six synthetic turf baseball fields, and will host youth baseball and adult softball tournaments from visitors around the country. This would be the largest parks and recreation project in the company's history. The park opened in March 2016, and Cal Ripken described the park as "one of the best facilities he has ever seen." BWSC provides design for expansion of the Zussman Military Operations in Urban Terrain (MOUT) facility at Fort Knox. BWSC designed the city mock-up buildings, mock airstrip, and an additional "shanty town" to provide a realistic warfare training environment. The MOUT facility is built to provide an urban terrain for military training operations so that modern warfighters can train in real-life environments. Among them, Seal Team 6 has used the faciality to train for various operations around the world. BWSC develops a Nuclear Quality Assurance Program that meets the Nuclear Quality Assurance-1 regulatory standards. The program is implemented and managed by the Environment and Water Resources Business Unit. This Business Unit is led by Carrie Stokes, who began with BWSC as a student intern, and continued in roles as project manager, Business Unit Director, and member of the Board of Directors. 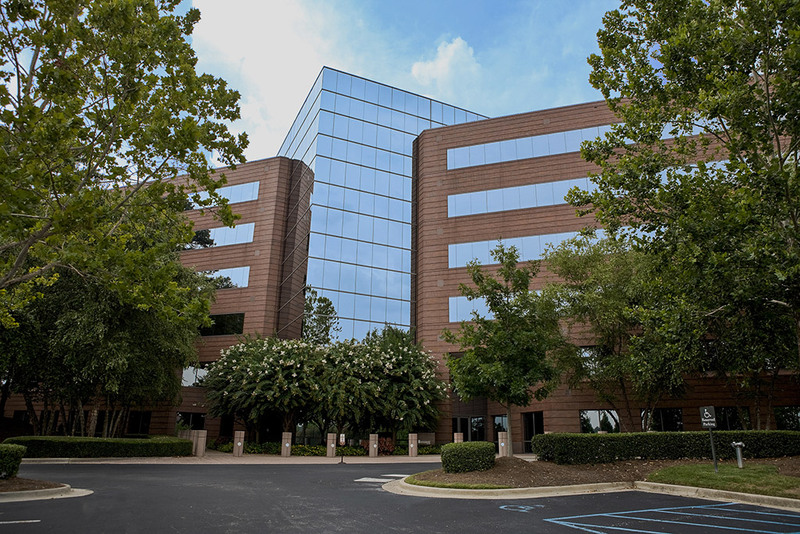 BWSC expands its services in Georgia with the opening of offices in Macon, and Columbus. The BWSC Community Fund is created as a means to give back to the communities our employees live, work, and play in every day. A total of $11,000 was awarded in the Fall of 2014. The Energy and Environment Business Unit is refocused to better align with the direction of the company in the market, and is renamed Environment and Water Resources. This would lead to the first environmental on-call contract with the Tennessee Department of Transportation (TDOT). 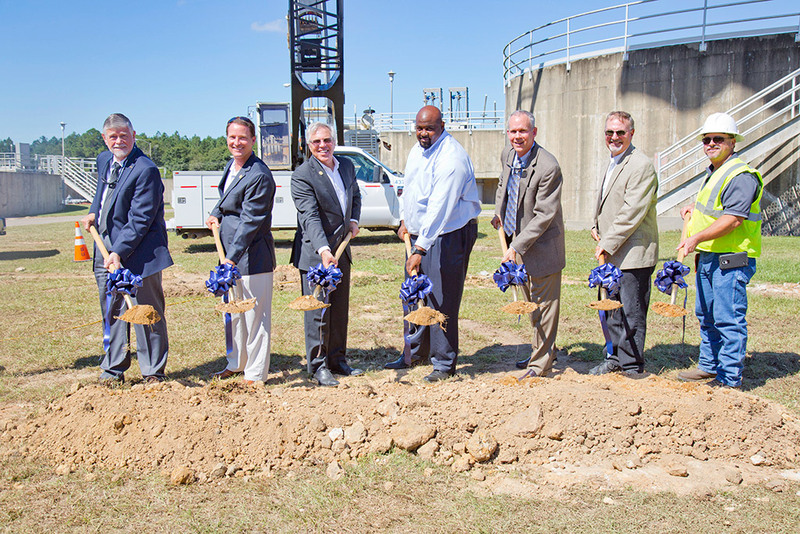 BWSC begins design improvements to the Omussee Creek Wastewater Treatment Plant in Dothan, AL. During the same year, BWSC started the second phase of a multi-year wastewater improvements program required by the Environmental Protection Agency, the largest engineering project on which the City has ever embarked. The Industrial and Building Services Business Unit drives in a new client in Mercedes-Benz US International, resulting in a significant win and the beginning of further Mercedes projects for the company. 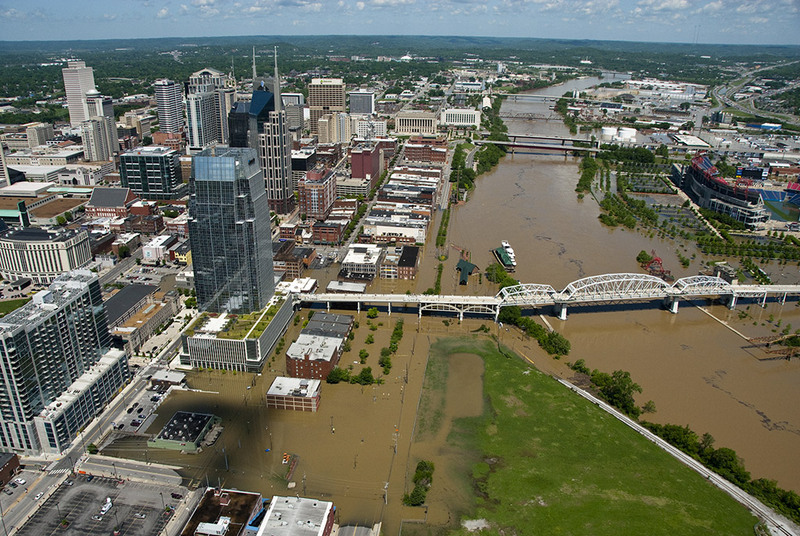 In response to the May 2010 flood in Nashville, Metro Water Services specifically looked to BWSC to provide engineering services for a new floodwall and pump station to protect the City's downtown area from future flooding. BWSC provides engineering on a design/build team for the design for the 224,000-SF National Museum of the United States Air Force, which broke ground in June 2014. In an initiative to transform a space adjacent to and underneath the I-20/59 corridor in Birmingham, AL, into a vibrant space for public gathering, BWSC was selected to evaluate the space and create a master plan for future activities and components. The Board of Directors vote to bring in two outside advisors that will give counsel on issues raised by the Board. These advisors will provide a more diversified point of view for governance. BWSC strengthens its presence in Atlanta with the opening of its third Georgia office. BWSC Dayton moves back to Miamisburg where their story began at the Mound facility. To formalize a new corporate strategy with defined expectations, BWSC develops a new purpose, vision, and set of values (CARES model) for the company. This creates a shared direction that gives employees a sense of meaning and a clear path forward. The implementation of a results-driven, focused strategy at BWSC leads to more clarified roles and increased accountability. This strategy was defined by three initiatives--Employee Experience, Client Experience, and Quality Delivery. Together, these initiatives support a fourth strategy area--Growth. As part of the Client Experience strategic initiative, the Client Service Leader (CSL) team was created to implement a new sales approach to drive more consistent results for top line sales. A CSL takes ownership of client relationships and gives clients a consistent point of contact with the company. The company's code that defines how we behave as we go about the business of achieving our trajectory is outlined in our values—our CARES model. Since 1955, our core values have set us apart from our competition. Today, these values are represented as CARES: Collaborate, Authentic, Responsible, Excellence, and Service. 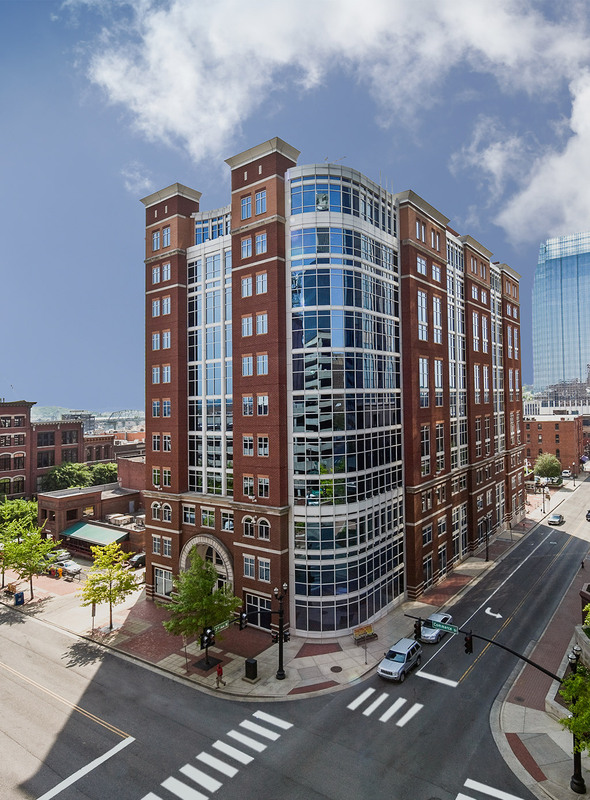 After 10 years, the Knoxville office moves back downtown, bringing the office closer to key municipal clients and enhancing its downtown presence. BWSC acquires jB+a, with offices in Atlanta and Savannah, GA. The acquisition strengthens the company's client base and capabilities with park and recreation projects in Georgia. 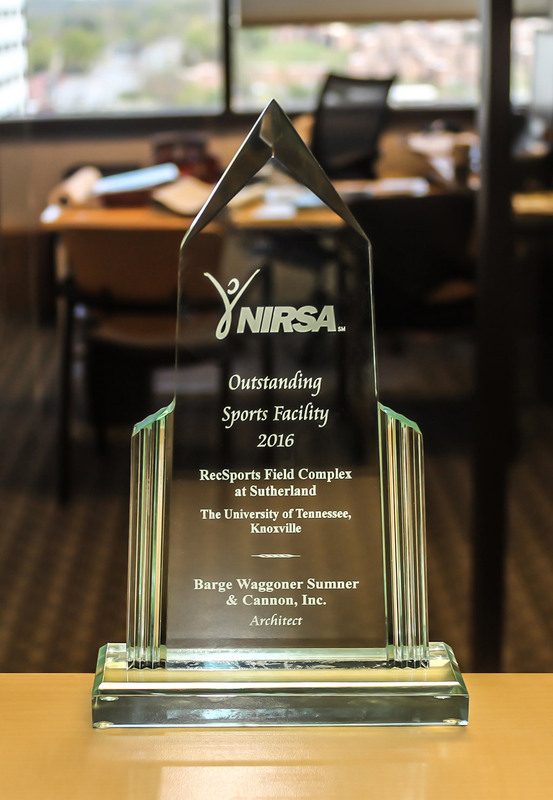 BWSC's development of the University of Tennessee Knoxville’s intramural sports complex wins an award for Outstanding Sports Facility by the National Intramural-Recreational Sports Association. Contracts secured exceeds its goal and reaches $70.2M, becoming a record milestone for BWSC. 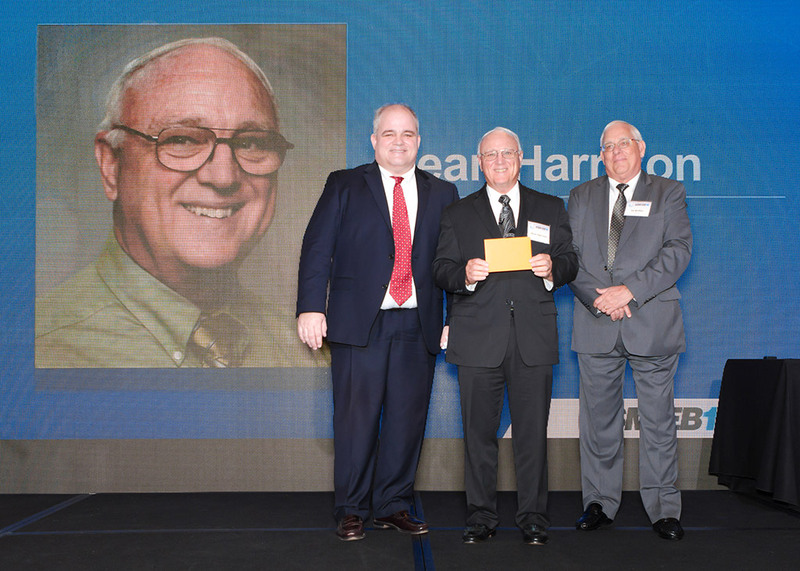 Hired in 1966, L. Dean Harrison, BWSC's longest tenured employee, retires after 50 years of service. The CARES Spotlight, an employee-nominated recognition program that highlights employee examples of BWSC values in action, is launched in January. This and similar efforts lead to the company being certified as a Great Place to Work the following year by the Great Place To Work Institute. BWSC is selected to provide engineering services for the Omussee Creek Wastewater Treatment Plant in Dothan, AL, which becomes City's largest capital project ever, and becomes the largest treatment plant project in BWSC history. 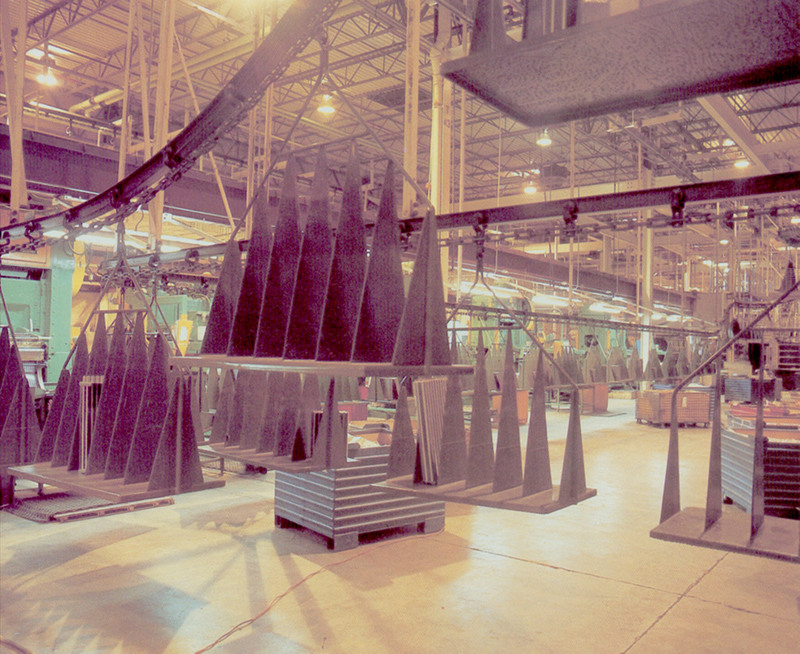 BWSC originally provided design for the plant in 1989. In January, the Board of Directors approves BWSC to enter into a letter of intent to relocate the Nashville corporate headquarters down the street to company-owned property at 3rd Avenue South and Lea Avenue. Construction begins in April and the new office/retail space is completed in November 2017. Stock shares reach a 10.65% increase from 2015. In response to the 2015 Employee Survey, BWSC launches an update to the Corporate Intranet. This update will be a key component in an increased focus on internal communications. BWSC begins work for Gwinnett County, GA’s Department of Water Resources through demand services contracts for three major categories of services. The selection was validation of BWSC's efforts to position the company as a valuable choice for the County, through multiple discussions, information sharing, advice on technical issues, and building relationships with County staff. The work for these contracts strengthens the company’s continued growth in the Georgia market. 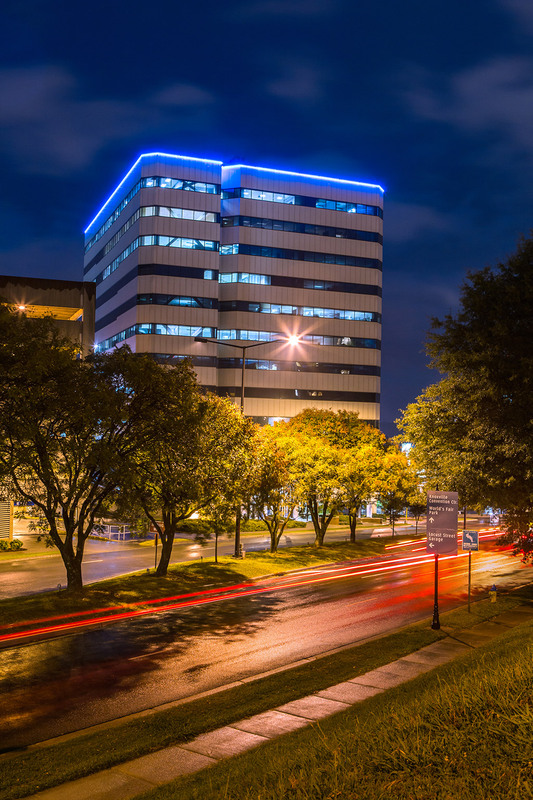 After establishing a presence through ResourceTek, BWSC officially expands its footprint in Texas and opens an office in Houston. This will be the company's first office west of the Mississippi River. On October 19, the Board of Directors called a special shareholder meeting to amend the Company's Amended and Restated Charter. Shareholders voted in proxy in resounding favor to change the corporate name to "Barge Design Solutions, Inc." The proxies were tallied with 82% voting to approve the historic name change that would be effective January 1, 2018.